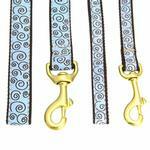 Edgy and stylish, this Curly Q Dog Leash design is classic with a modern twist. Chocolate brown enhances the pattern to create a luscious palette of color, perfect for the urban or country sophisticate. ! 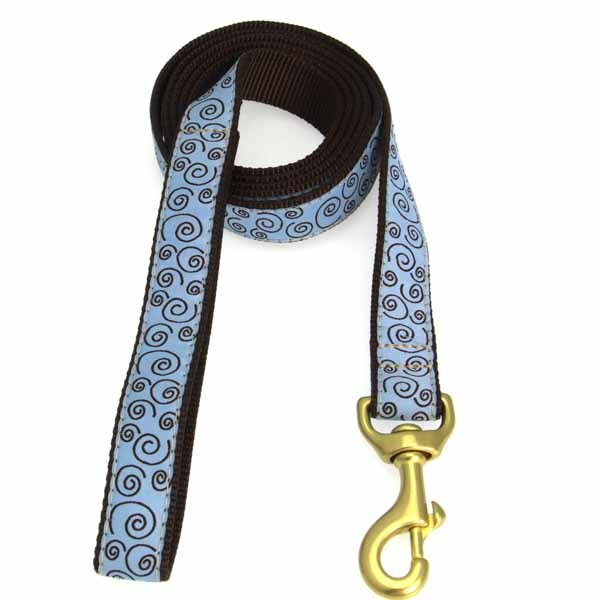 This leash is made from high-tensile strength nylon webbing with sewn on polyester/nylon ribbon. 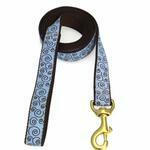 This leash is also stain and fray resistant and designed to last! The hardware is a cast solid brass swivel clasp. 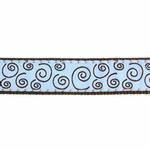 Machine washable and made in the USA! Amazingly fast delivery! Product was as advertised. Very pleased with product and service!